David Gilbertson details how the switch to Node 8 resulted in shaving a quarter off server-rendering time and a third off npm install time on his app. util.promisify converts a callback-based function to a Promise-based one. Dr. Axel shows off how to use it. npm upgraded to 5.0.3, libuv to 1.12.0. fs.exists() now works properly with util.promisify() and more. Wiring up a physical button to a Pi using the latest versions of Node and npm, and creating a Node server to send a text message when the button is pressed. RisingStack uses MySQL to store data for its Trace monitoring tool. Here they show how MySQL’s table partitioning helps keep things scaling and using knex to do things from Node. Happy to be a little closer to the edge with npm releases? npm i -g npmc will get you a ‘canary’ release as a separate npm binary. A popular introductory guide (or refresher) has been updated for npm 5.0’s recent release. 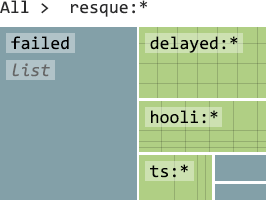 Stdlib is an infinitely scalable, self-healing web services platform. We put together a hub of resources that will help you build an app using MongoDB and Node.js. Check it out today. A user calls a number and a Node script routes that to the caller’s local representative. Using Koa, a minimalist web framework (similar to Express). OpenWhisk is a serverless event-based programming service from IBM. Using the Seneca framework, a toolkit for Node, to break down the rules of chess into a microservice. Maven is a build automation tool commonly used on Java projects. DOSY is a family of random number generators that pass PractRand. Expedite your job search. Save time and effort. Get Hired.